A dog water fountain is a splendid idea that’s sure to make a splash with your pup! 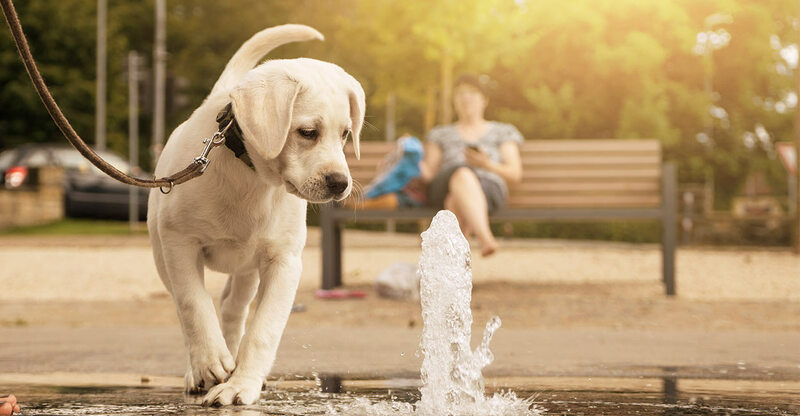 The best dog water fountain options don’t just keep your pup hydrated. They are also a fun, entertaining way to provide your dog with fresh water – 24/7! We’re going to take a look at the best options available today. From large to small dog water fountains, there really is something for every owner and their pet. You can find indoors and outdoors options. Or those that can be used in either! And even some great automatic or dog controlled choices! There are some factors to keep in mind as you make your selection. Not just where your fountain is going to go and who will control it, but whether it will be shared and how noisy it might be. Filtration and cleaning methods are other big issues too. We’ve broken down the choices into simple categories. 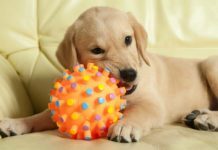 So whether you are looking for a big dog water fountain, an automatic dog water fountain, or even dog self serve water fountain options – just scroll down the page to the section that suits you. Let’s get started by looking at some common features that you might want to go for. 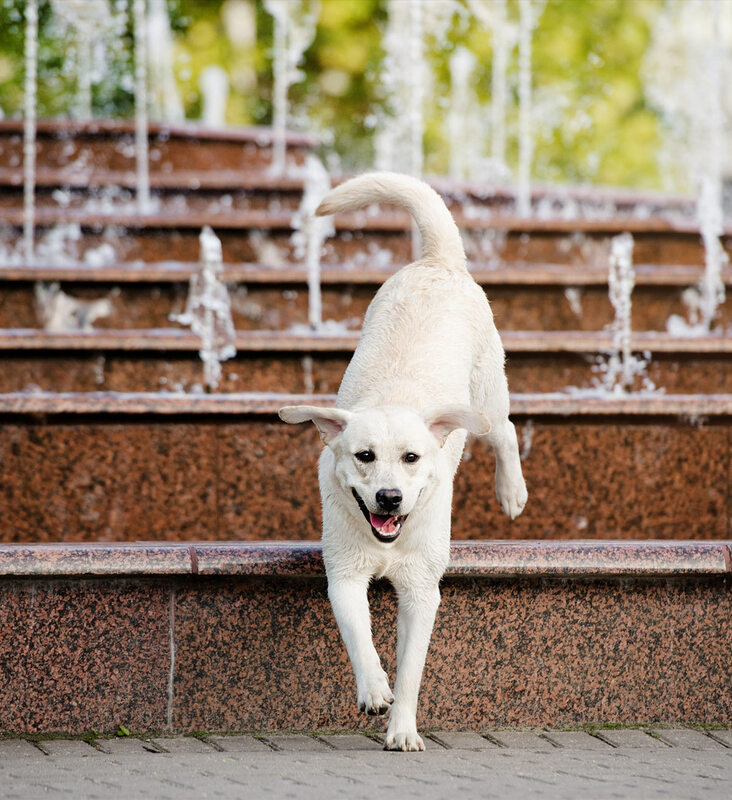 Most dog water fountains feature either a circular or a waterfall stream of water. A waterfall allows for the water to fall at the same time it is flowing. One drawback is that the waterfall sound tends to be louder than the one made by a circular stream. Then again, some people enjoy the sound of falling water as a relaxing, soothing noise! A circular stream involves a spout on top of the fountain that allows the water to flow in a circular motion. Many people view this stream option as a more natural alternative, thus enticing dogs to drink regularly and remain hydrated. Having your dog’s water supply constantly filtrated means he has access to cleaner water than is normally found in an inert dog dish. Many fountains have two filters, one to remove debris, and one (usually carbon) to filter out chemicals. One thing a dog water fountain can’t do is clean itself. Even with the most deluxe models you will still have to wash the bowl on a regular basis just as you would a standard water bowl; shucks! However, some fountain bowls can be placed in the dishwasher, and we have reviewed a range of plastic, stainless steel, and ceramic fountains. Plastic is by far the most common option when it comes to dog water fountains. Although stainless steel is considered to be more sanitary, easier to clean and longer lasting. I must confess, when I bought a water fountain for my pet, in the end I decided on a stainless steel model based on its attractive appearance as well as its functionality. There are plenty of dog water fountains to suit every taste, budget, and doggy need so let’s get started with our reviews! You don’t have to worry about pump noise with an outdoor dog water fountain, as you would with an indoor model. Most outdoor fountains are made of rugged plastic, meant to withstand the elements, and operate by connecting to a garden hose. If you have multiple pets or just one big dawg, this hefty 3.5 gallon dog water fountain provides a free-falling stream that’s sure to attract thirsty pets. It comes complete with a replaceable carbon water filter, plus a foam filter that traps hair and debris. It can be used indoors as well, and has tall sides to lessen messy spills. Hundreds of happy pet parents are pleased with this sturdy, no-frills outside dog water fountain. This basic model gets the job done by supplying a continual stream of fresh water to the unit via a garden hose. The economical, dark blue unit is 10” x 5” x 11” and connects to any standard garden hose. When connected to a standard garden hose a free-falling water stream ensures that the 1.5 gallon dog water fountain is automatically refilled. It comes complete with a built-in circulator as well as a replaceable carbon water filter, and a foam filter to help catch hair and debris. This nifty dog drinking fountain checks off all the boxes! It can be used either outdoors or indoors, and has a light making it easy to see in the dark. A raised water level allows for a more comfortable drinking position, making the fountain useful for large and older dogs. The recirculating system maintains 338 ounces of water. This ingenious heated outdoor dog water fountain ensures that your dog has water available even in the coldest weather. It has a 2.2 liter capacity, and a temperature control that can be set between 97℉ – 109℉. Safety features include a chew-resistant cord and an automatic standby setting when the dish is empty. Heavy-duty stainless steel means an ultra- sturdy outdoor fountain for your dog. The bowl attaches to a standard garden hose and a mechanical float valve is featured for safety and reliability. The fountain has the largest drinking surface area of its kind, and the cover is made from high-density polypropylene. Since they are on display, indoor dog water fountains tend to have more flair and style to go along with their functionality. Many indoor fountains have both indoor/outdoor capabilities, a plus if you like to give your dog some “fresh air” while company is visiting. Indoor fountains tend to come in smaller versions, making them great space-saving options for small areas, and making them less intimidating for small or toy dogs. This attractive two tier water fountain has a 100 ounce capacity making it a wise choice for multi-pet households. 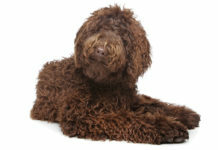 Especially nice is the elevated level, which makes drinking more convenient for older or arthritic dogs. A free-falling stream is powered by a quiet, low-voltage submersible pump, and the BPA-free unit (top-shelf dishwasher safe) has a replaceable carbon filter. A clever dog water fountain design, it alerts you to water shortages and features a quiet pump. A light alerts you when it’s time to change the filter, there are day-time and a night-time modes, as well as a 70 ounce water capacity. A triple purifying system means that water always tastes fresh; best for small and toy dogs. This pretty as a petal little fountain is the perfect size for toy dogs. It has 3 continuous water flow settings that include waterfall and fountain. It comes with a carbon filter and a quiet pump (< 35 dB) held in place with 4 suction cups. It is made with BPA-free plastic, and has a 56 ounce capacity. Thousands of satisfied pet parents recommend this stellar 168 ounce capacity indoor dog water fountain. It is right-sized for both small and big dogs, and has a free-falling water stream. It has a built-in reservoir, is BPA-free, and safe for the top shelf of the dishwasher. The Dogit water fountain uses a multi-stage filtration method to absorb water impurities while providing a continuous supply of fresh water. A large drinking surface area means extra oxygen for the available water. The plastic unit has a white base and light blue top. If you would like an alternative to plastic dog water fountains, why not consider a dog water fountain stainless steel? My tabby cat Fuzzy uses this indoors version, and I can attest that he has no complaints! I would recommend it for smaller dogs however, as the fountain is not a large one (60 ounce capacity). The stylish model comes with a replaceable charcoal filter and it is dishwasher safe. In addition to providing clean, fresh drinking water for your pooch, an automatic dog water fountain is a terrific time and space saving option for multi-dog households. The larger the water storage capacity, the less often you will have to fill the dish, and bigger units can accommodate more than one pet at a time. If you want a cute, corner dog water fountain, you might want to snap this model up. It comes with a 88-ounce water capacity and features easy-release parts for convenient disassembly and cleaning. It is a low decibel, low energy fountain, consuming roughly 1.5 KWh monthly and 18KWh yearly. This automatic waterfall fountain includes a replaceable water filter, and the waterfall feature adds oxygen that inhibits bacterial growth. It has a quiet, low, 12 voltage input and holds 2.5 liters (85 ounces of water). This adorable little dog water fountain has a modern, cubist design that features a free-falling water stream. The water flow is adjustable and a soft LED light makes it easy to see in the dark. It’s made of BPA-free plastic, and uses a 12V low voltage power supply that keeps noise to a minimum. The fountain is suitable for smaller dogs. Dogs both big and small will enjoy getting hydrated via this cheery, blue, plastic, automatic dog water fountain. A compact float valve means that the bowl stays constantly filled no matter how thirsty your dog is! It is available with a 5 or 10 foot hose. This stylish ceramic dog water fountain is quite a conversation piece, as its decorative looks are as strong as it’s functional intent. It has a 70 ounce water capacity and is top-shelf dishwasher safe. It comes with one (replaceable) activated carbon filter as well as a replaceable foam filter. A “step on” dog water fountain is an outdoor option that supplies your pooch with water whenever he steps on a large pedal. With the push of his paw, the dog pedal water fountain squirts a burst of water up into the air for an instant water supply. There is no bowl, electricity, batteries, etc. to worry about. The convenience factor is obvious, as your pup has fresh water available whenever he wants it. 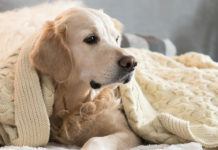 It is also a peace-of-mind option if your dog is outside in warm weather as he can access water anytime even if his traditional water bowl is empty. 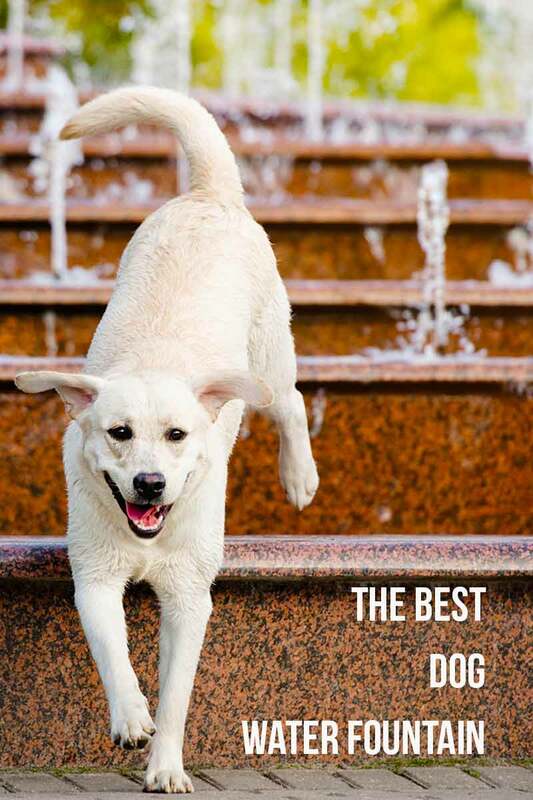 The dog water fountain hose operation is simple: the pedal attaches to an outdoor faucet or hose and can be left on while you’re gone for the day. 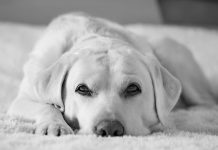 Most dogs can learn to manipulate the pedal pretty easily, but it may be harder or impossible for dogs with arthritis, etc., to use. Once your dog steps lightly onto the paw-print pad, voila, water comes out! The fountain is composed of heavy gauge quality steel and a brass valve. The water hose is made for a ¾ inch faucet. Included are a connecting hose and a full 1 year warranty. The fountain has a leak-proof copper valve and rubber friction pads that minimize movement when in use. Each unit comes with bonus adaptors, connectors, and a 2-way Y hose connector. Water pressure can be adjusted via the control valve. 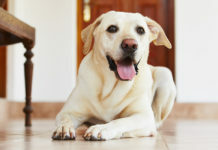 Maybe you have a large dog, or you would simply like the peace of mind in knowing that your dog has an outsized supply of water at her disposal. Then again, maybe you have multiple thirsty pups! 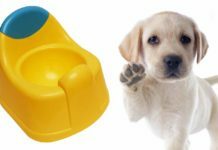 Whatever your reason for needing a sizable dog water fountain, these options represent some of the best large dog water fountain choices available. A whopping 200 ounce water capacity as well as dual-height drinking levels make this an exceptional large dog water fountain. The quiet operation is powered by a low voltage power supply, and comes with a 10 foot cable. It has a polymer-carbon purification filter and replacement cartridges are available. Perfect for thirsty dogs, this free-falling stream fountain has a removable 1-gallon reservoir, making refills stress-free. The 2.25 gallon capacity is perfect for large dogs or multiple pets and comes with an anti-bite cord cover. It is BPA-free and washable on the top shelf of a dishwasher; a replaceable carbon water filter is provided. Hundreds of happy pet parents are pleased with this 2 gallon dog water fountain. The large fountain filters the water up to 130 times per hour and a charcoal filter helps to strain out impurities. The water bowl is dishwasher safe, and the unit comes complete with a two year limited warranty. Big dogs will always have fresh, clean water available with this large, 128 ounce water capacity fountain. The jumbo size unit has free-falling streams that make it a great alternative for multi-pet households. An adjustable flow control lets you customize the water flow. A carbon water filter and a foam filter (to remove hair and debris) are included. The fountain is made of BPA-free plastic and is top-shelf dishwasher safe. Large dogs will enjoy the raised water basin which allows for a more comfortable drinking position. A360-degree rotating blue dome sits atop a white base which holds 355 fluid ounces. We hope you enjoyed our dog water fountain reviews. Dog water fountains ensure that your beloved pet always has a fresh, clean supply of hydration handy. Adequate hydration is believed to play a key role in the overall health and well-being of all animals. Circulating water such as that found in a fountain is attractive to many dogs, perhaps enticing them to drink more and remain hydrated. Zucker, A., et al. 1982. Renal and endocrine response to water deprivation in dog, American Journal of Physiology-Regulatory, Integrative and Comparative Physiology.